Yes, I understand that this e-zine is largely Caribbean cruises based. 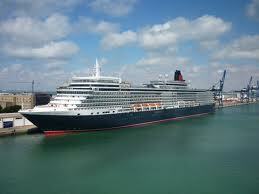 However, we have decided to expand somewhat to include cruises to other fun destinations. One of our newest pages at All-Inclusive Caribbean Cruises looks at Carnival Fun Ship cruises to the hotly desired Alaskan frontier. Click here to read all about them. 1. Carnival Offers Group Cruise Special. For a limited time, Carnival backs away from its usual group cruise policy and offers a group cruise special with a better chance for earning a free berth/passage. From now until April 30, anyone can organize a group cruise and pay nothing down. No payment is due until 120 or 150 days before the cruise departure (depends on the length of the cruise). In addition, instead of earning one free berth/passage for every 8 cabins sold, Carnival will allow one free berth/passage for every 5 cabins sold. So, after ten (10) adults have paid, the next person will be free (except for port charges and taxes). On west coast cruises, groups only need 4 cabins sold to earn one free passage. Contact your Travel Agent for more details and get your group cruise reserved by April 30, 2014 for sailings between November 1, 2014 and April 30, 2015. 2. Royal Caribbean Revolutionizes Main Dining. This fall, Royal Caribbean will introduce Dynamic Dining on the first of its Quantum Class of ships, the Quantum of the Seas (debuts November 2014). If you are familiar with the main dining room and service onboard a cruise ship, this will be eliminated. Instead of guests being assigned to one of two main dining rooms for their meals, the Quantum Class ships will have five (5) restaurants, each serving a different cuisine, to which guests may visit every night. In addition to the five (5) complimentary restaurants, there will some specialty restaurants with a cover charge and other dining options - a total of 18 places to eat! Dining will not be the same on Quantum of the Seas this fall, and the Anthem of the Seas which debuts in spring of 2015. 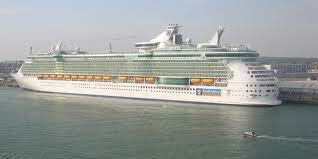 Check with your Travel Agent or Royal Caribbean for more information. We are excited to invite you to join us on a group cruise to Ocho Rios, Jamaica and Grand Cayman, Cayman Islands this October. Deposits are only $25/person and are due by April 30h. Final fares start at $413/person. As summer approaches and everyone turns to the high seas, cruise prices go up quickly. In order to save, you must plan to sail at the right time. If possible, book your cruise for early June or late July into August. 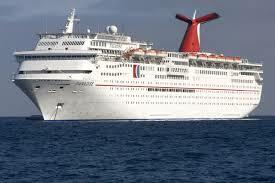 Cruise sailings then are less expensive than those late June or early July, when everyone is out of school. May is the last month to find reasonable rates on cruise packages, before the high season of summer kicks in. Look to book your cruise in early to mid-May to get the best deals. 1. Carnival Ecstasy offers a 4-day itinerary from Miami on May 12th to Key West and Cozumel (featuring a Carnival Live Concert) starting at $269/person (double occupancy). 2. Carnival Elation offers a 5-day itinerary from New Orleans on May 3rd to Cozumel and Progreso starting at $339/person (double occupancy). 3. Norwegian Sky 4-day sailing from Miami on May 5th to Freeport, Nassau and Great Stirrup Cay (Bahamas) starting at $279/person (double occupancy). 4. Caribbean Princess offers a 4-day sailing from Ft. Lauderdale on May 19th to Cozumel starting at $499/person (double occupancy). 5. Royal Caribbean's Vision of the Seas has a 4-day itinerary from Ft. Lauderdale on May 8th to Cozumel starting at $189/person (double occupancy). The above offers are just a few of many. Check with your Travel Agent, the cruise line directly, or let us help you. You may book directly at PetesTravel.com or send us a Cruise Quote Request.